BEACH DEFENSE® is a specially formulated lotion designed to help protect your family’s skin from harsh outdoor summer elements while remaining active. Stabilized with HELIOPLEX® technology for broad spectrum UVA/UVB sun protection, this product also has a light-weight feel and provides 80-minute water resistance. Spray generously and spread evenly by hand 15 minutes before sun exposure. Hold container 4 to 6 inches from the skin to apply. Do not spray directly onto face. Spray on hands then apply to face. Reapply at least every 2 hours or after 80 minutes of swimming or sweating. Reapply immediately after towel drying. Do not apply in windy conditions. Use in a well-ventilated area. Avoid inhaling or exposing others to spray. For use on children less than 6 months of age, consult a doctor. Medicinal Ingredients: Homosalate (8%), Oxybenzone (5%), Octisalate (4%), Avobenzone (3%), Octocrylene (2%). Great coverage with the spray and smells great.. This sunscreen goes on smooth and protects well. 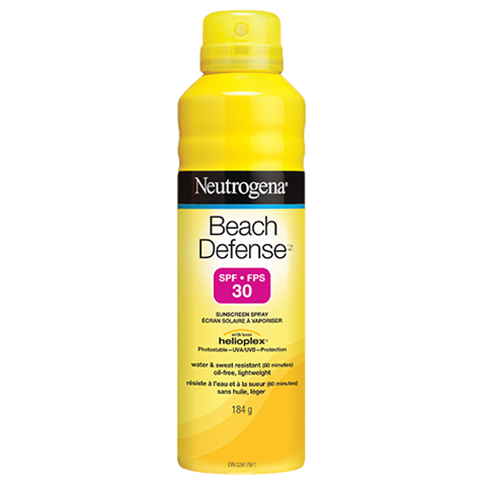 This spray is great for the beach because it is easy to apply or re-apply and it is waterproof. 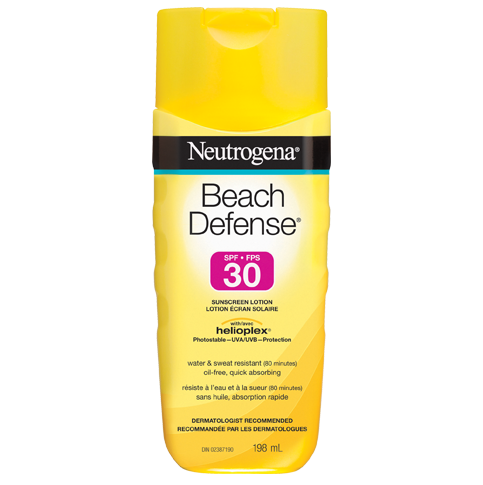 I bought this Neutrogena Beach Defense Sunscreen spray in SPF 60 to use on my face and sensitive areas around the neck and chest. It worked really well to prevent burns and was easy to apply to the skin.